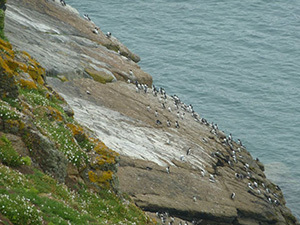 Skomer is THE reason to come for many visitors to West Wales. We are fortunate to be only approximately 15 minutes drive away from the embarkation point to Skomer- Martins Haven. 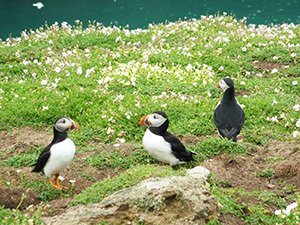 Visitors to Skomer are invariably coming for the wildlife and birds in particular the Puffins & Shearwaters. The main season for Puffins is April- End July. 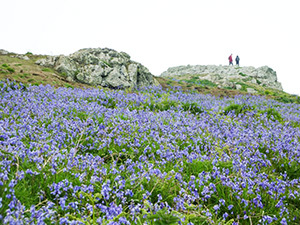 If you fit a trip in during May you will be fortunate enough to see the fantastic bluebells that absolutely coat the island- to see these and the red campions ‘floating’ above them is a truly magical sight. 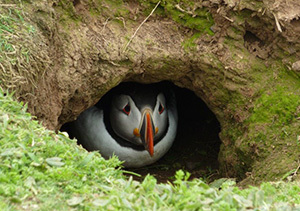 To visit Skomer, it is recommended to arrive at the ticket office (Lockley Lodge) for 8.30am at the latest. It is not possible to book ahead and a maximum of 250 people are allowed on the island on any one day-so you need to get there early to be sure of your ticket. I would also suggest making it your plan to visit on the earliest day you can on your holiday, as the boats are subject to the weather, so it is not guaranteed they will sail every day. You buy your landing pass at the ticket office (at which point you are advised what time your boat will be leaving) and then you pay your boat fee as you set foot onto the boat-remember to take cash for this, it’s cash only on the boat. The ferry trip takes approximately 15 minutes and on here you will be given your return trip time-you usually have about 5 hours on the island. 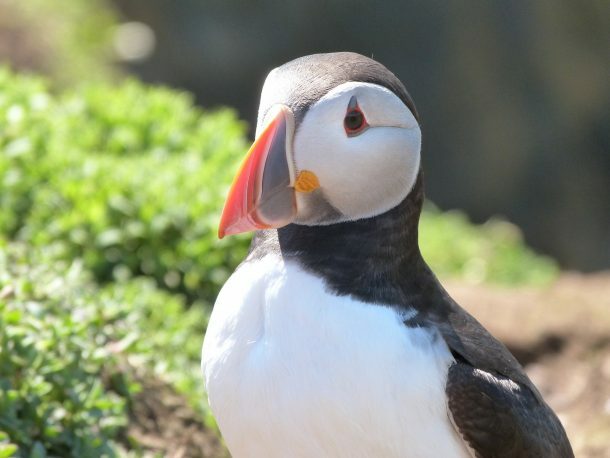 Words (nor pictures, for that matter) cannot convey how fantastic the island, bluebells and puffins are-you will be told the puffins will be at your feet but you do not quite believe it-just wait until you get there, you have to see it to believe it! Take care on the island as there are no trees, and as you are surrounded by sea it is very easy to get sun & wind burnt-so always take some sunscreen as there is no shelter on the island other than the old farmhouse in the middle of the island. Also, make sure you bring enough food and drink as there are no facilities on the island and the fresh air will make you quite ravenous! So, to ensure you arrive in time to obtain your ticket, Jayne keeps in contact with both Lockley Lodge and the boat skippers from the ferry and has organised a few different breakfast options you can choose from to make sure you get your ticket in good time. Jayne can also organise a packed lunch for you that will ensure you will not go hungry!